Many college students depend on student loans to help them pay for their education. However, though student loans don’t have to be repaid until after graduation, the debt students take on is often an enormous burden. Repaying your loans doesn’t have to ruin your financial standing – here are three ways to reduce your student loan payments. 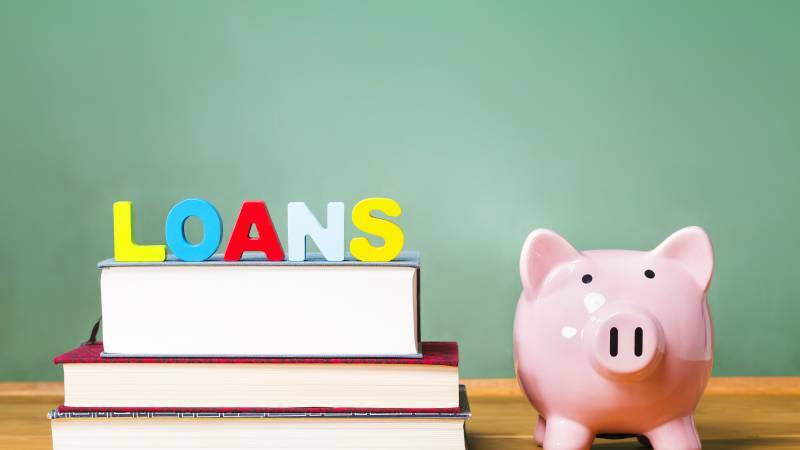 Depending on your income level, it may be possible for you to refinance your student loans at a lower interest rate, which could reduce the amount of your monthly payments and the cost you pay for your entire loan. Refinancing depends on factors like your credit score and annual income. Some finance companies also will take into account your earnings potential in relation to your college degree. In some cases, you may want to refinance by consolidating multiple student loans into one loan. If you have trouble refinancing, you might want to see if having a cosigner would help. Interest rates fluctuate, though, so you should check rates and other variables on an ongoing basis. When refinancing, make sure you understand what the annual percentage rate (APR) will be on the refinanced loan and whether it’s fixed or variable. Even though your monthly payment might be lower, you could end up paying a higher APR. That would mean it could take longer for you to pay off your loan. If you’re struggling to pay your student loans each month, you can, in some cases, receive forgiveness for some or all of your student loans. There are several forgiveness programs available through different public service agencies, nonprofit organizations, and schools. Typically, student loans are forgiven in exchange for a willingness to work in a particular occupation, perform volunteer work, or join the military. For example, an authorized military branch of the federal government, such as the army or navy, may forgive a fixed percentage of student debt for each year of military service. As another example, suppose a doctor is needed in a rural community lacking adequate medical care. Leaders within that community might entice a doctor to move there by offering to pay a portion of the doctor’s student loan debt for each year of service. Forgiveness programs are usually designed to fill a need while relieving graduates of debt repayment burdens while they’re trying to establish their career. If you’re interested in a forgiveness program, you owe it to yourself to investigate the different options available. If the above options don’t fit your circumstances, look into a Pay-As-You-Earn (PAYE) plan to make your monthly payments more affordable. The basic concept behind a PAYE plan is student loan payments are tied to a percentage of a graduate’s discretionary income, typically ten percent. Any remaining balance after a 20-year period is usually forgiven. The advantages of a PAYE are two-fold. When you first enter the workforce and are making a beginner’s salary, your monthly payments will be lower than they otherwise would be. Then, as your income grows, your monthly payments increase proportionately – plus a portion of your total debt will be forgiven. Although it’s slightly different than a PAYE plan, another plan you may want to consider is the Income-Based-Repayment (IBR) plan. The IBR plan uses a sliding scale tied to a graduate’s income in order to make loan payments affordable. In other words, your payments are based on what you earn and not on what you owe. One important advantage of the IBR plan is more graduates are able to meet eligibility requirements than they are for the PAYE plan. The good news is the hard part is behind you — you completed your education and earned your degree. You should feel an extreme sense of pride and accomplishment for that feat. However, trying to repay your student loans may be making it difficult for you to keep your head above water. If that’s the case, you owe it to yourself to conduct your own research in order to find the best solution that will help you reduce your student loan payments. If you’re interested in reducing your student loan payments, start a search today.